Avomeen Blog: Will The Proposed FDA Change for Generic Drugs Prove a Litigation Risk? Will The Proposed FDA Change for Generic Drugs Prove a Litigation Risk? The U.S. Food and Drug Administration proposed a new rule on November 8th, 2013 which would warrant generic drug companies the same authority over safety information as brand-name manufacturers. This proposal stems from the FDA’s desire to streamline the process for generic companies who discover safety risks and to improve the timeliness of safety label updates. This rule of reproduction by the Supreme Court has thus far protected generic companies from lawsuits regarding safety labeling as they are only accountable for duplicating what the brand-name drug label states. The impending change would thereby open generic companies to safety-labeling lawsuits, something seemingly absent since a 2011 Supreme Court decision resulting in part from, Pliva v. Mensing. Public Citizen, a non-profit consumer interest group recently published a report regarding safety hazards and the implications on generic drug safety labeling. In this report they substantiated that length of time on market does not equate to complete safety information. In fact, many serious and even life-threatening risks have been added to drug labels after the product has entered the generic market. These findings invalidating the stance that all side-effects and necessary warnings are addressed during the brand-name only phase, though this period can be twelve to twenty years in some cases. Proponents of this change also point to the fact that generic drugs make up more than 80% of the U.S. prescription market and therefore the companies must be enabled to take part in updating safety information. They also promote the concern that brand-name manufactures may become unreliable sources of current hazards once generics monopolize the market. These concerns and others are what prompted the rule which many are saying has been a long time coming. The new rule seeks to ensure consumer safety by allowing generic drug companies authority to immediately change labeling and actively participate with the FDA instead of waiting on the brand-name company. 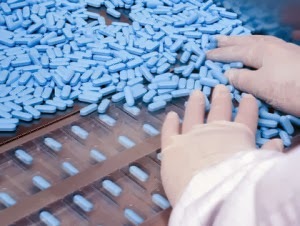 Though the changes are proposed as a means to better the quality of safety updates; the question lingers if the FDA indeed has the authority to grant generic drug manufactures the right to independent label changes when the Supreme Court has consistently held generic drug manufactures to the requirement of duplicating brand labels without the allowance to instate changes without FDA approval. There have also been questions regarding how to ensure consistency in labeling and avoid prescription confusion due to both brand name and generic drugs making possible changes at the same time. In order to address this concern the FDA plans to construct a website which would record all label changes. The new rule will be open to public comment for a total of 60 days. Should the proposal be instated, generic drug companies will be able to immediately enact drug label changes. It is probable that generic drug companies will be at a greater risk for lawsuits regarding incomplete hazard labeling and will be in need of litigation support services. New generic pharmaceuticals will also need to perform greater testing and research in order to ensure correct safety labeling.